A married NYC based pastor, TommyClark is currently embroilled in a deep sexual mess. 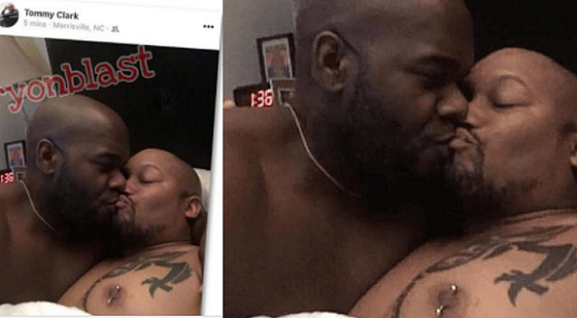 The pastor’s act has left members of his congregation shocked after accidentally posting a photo of him kissing another man on Facebook. His shocked church members were fast to get screenshots. Will you still attend his church if you were a congregation member?